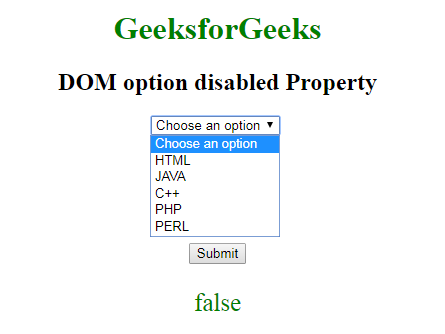 The DOM Option disabled Property is used to set or return whether the value of an option would be disabled or not. 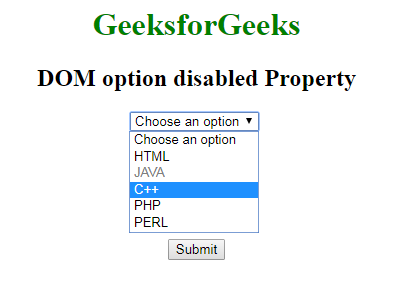 The disabled attribute for the element in HTML is used to specify that the option value is disabled. A disabled option is un-clickable and unusable. It is a boolean attribute. It is used to return the disabled property. It is used to set the disabled property. true:It defines that option is disabled. false: It defines that option value is not disabled. It has a Defaulr value. 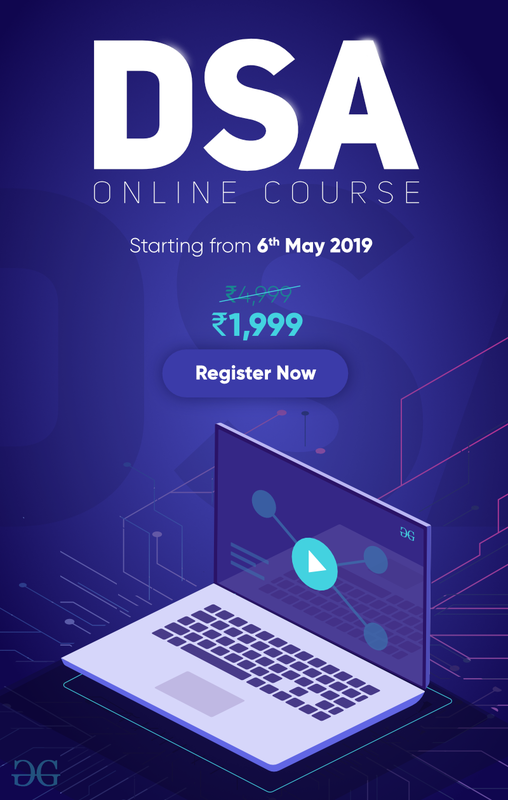 Return Value: It returns a boolean value which represent that option value is disabled or not. Example-1: This Example illustrate how to set the Property. 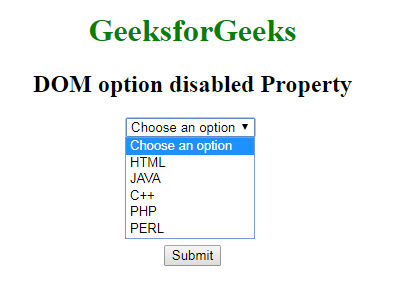 // Set disabled property "true". Example-2 : This Example illustrate how to return the disabled property.